Although Amsterdam is the city coming to anyone’s mind when thinking about the Netherlands, there are so many interesting places to be seen in that lovely country. I’ve asked some of the travel bloggers living in the Netherlands to recommend some of their favourite places. 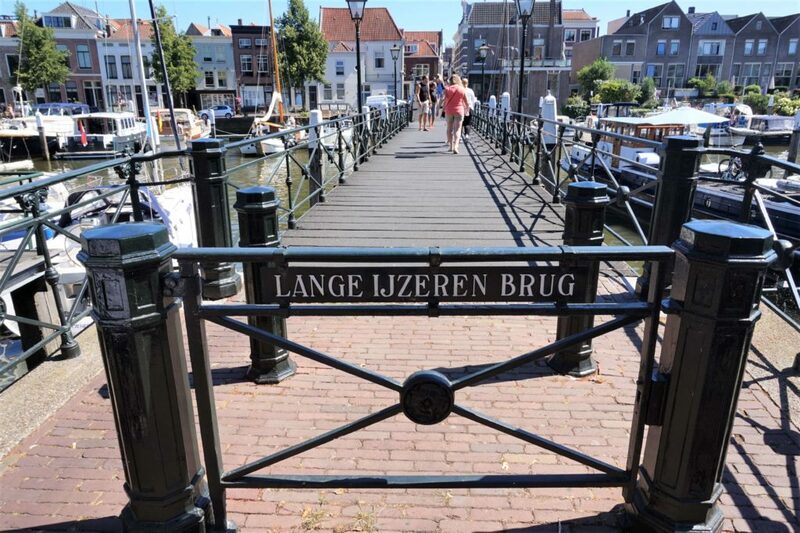 And here it is, a list of Dutch towns you have to visit (recommended by local travel bloggers). The Netherlands is a small country, so going to any of these places on a day trip from Amsterdam should be quite easy. It’s well connected by a train and you can find all the travel info on a link here. 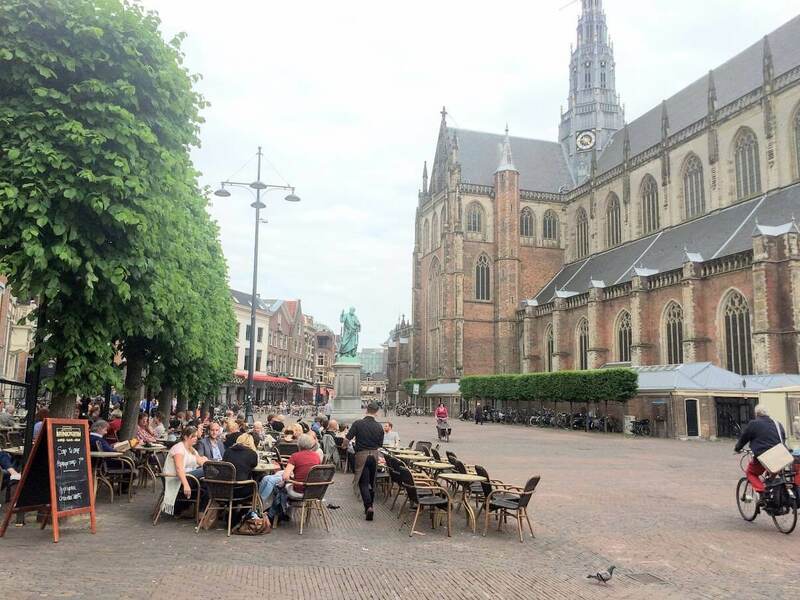 Haarlem is a perfect place for a short trip from Amsterdam. It is a smaller and quitter version of Dutch capital. 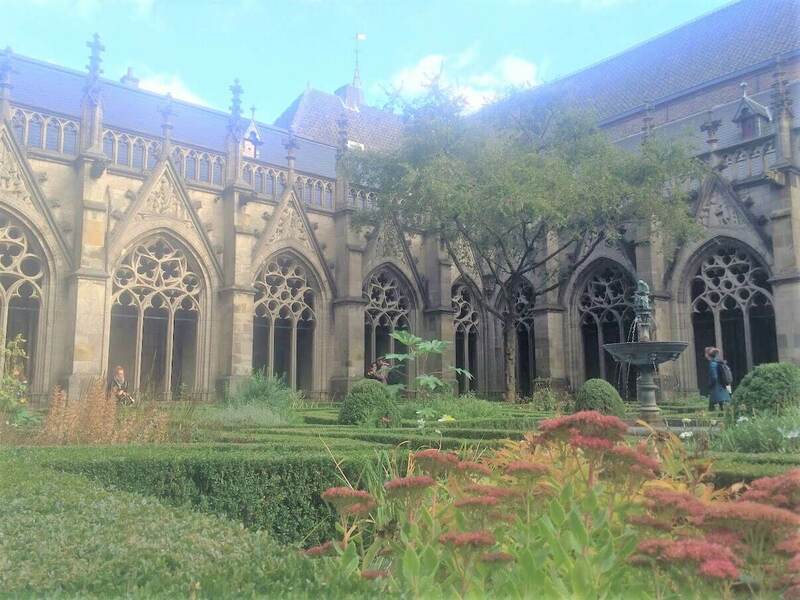 Short walk from its train station there is a main square (Grote Markt) with St. Bavo Church, many buildings from the 17th century and many cute restaurants. It was a home to famous Dutch painter Frans Hals during the Golden Ages. So, visiting a museum dedicated to him is also something I strongly recommend. *For more info: Here is a complete guide with things to do in Haarlem! 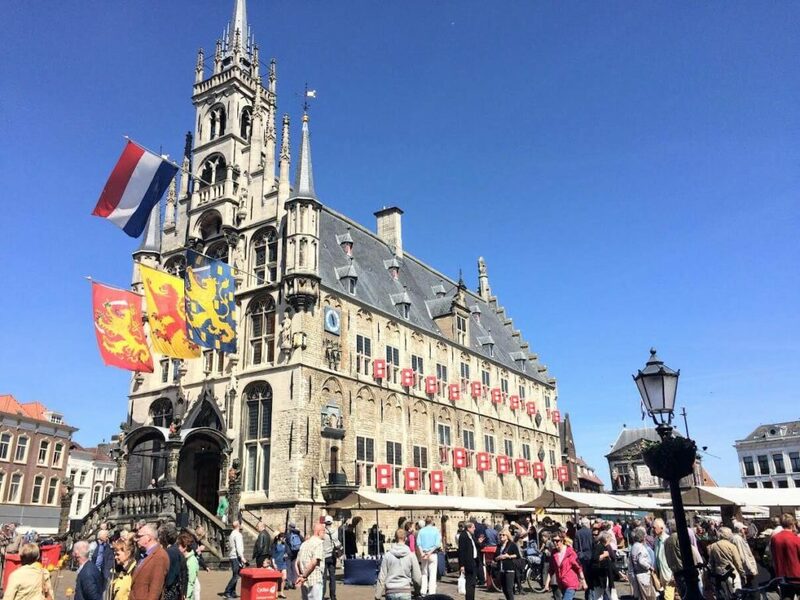 *For more info: Here is Karen’s blog post with interesting things to do in Delft. 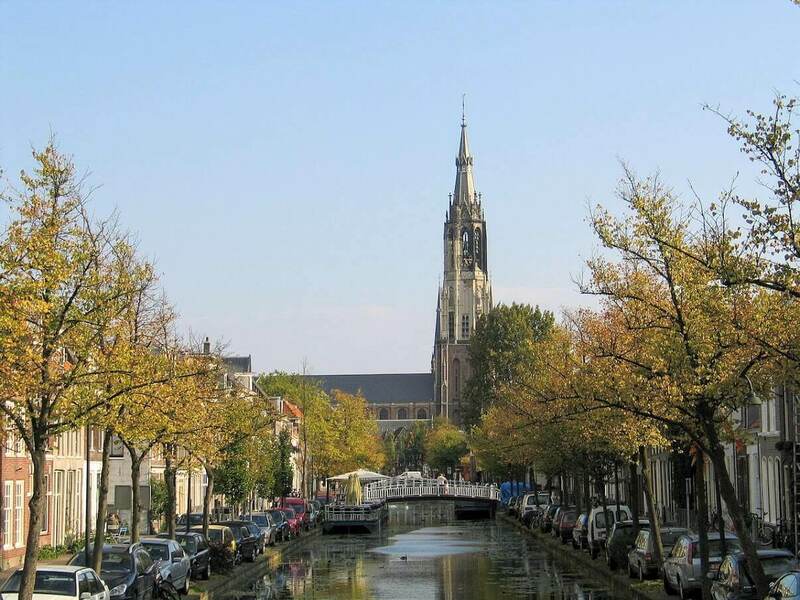 Utrecht is famous as a student town and the religious center of the Netherlands. It is a great place to visit if you’re travelling with kids because there is a Nijntje (Miffi) Museum and the Train Museum there. It was for a long time center of Catholicism in the Netherlands. So, you’re going to find many beautiful churches and convents there, as well. It’s definitely a great place to go on a day trip from Amsterdam. Den Haag is probably one of my favourite places in the Netherlands. I love it because it has such an international spirit, but still a vibe of a small town. It is a place where Dutch royal family is living and where Dutch Parliament is. 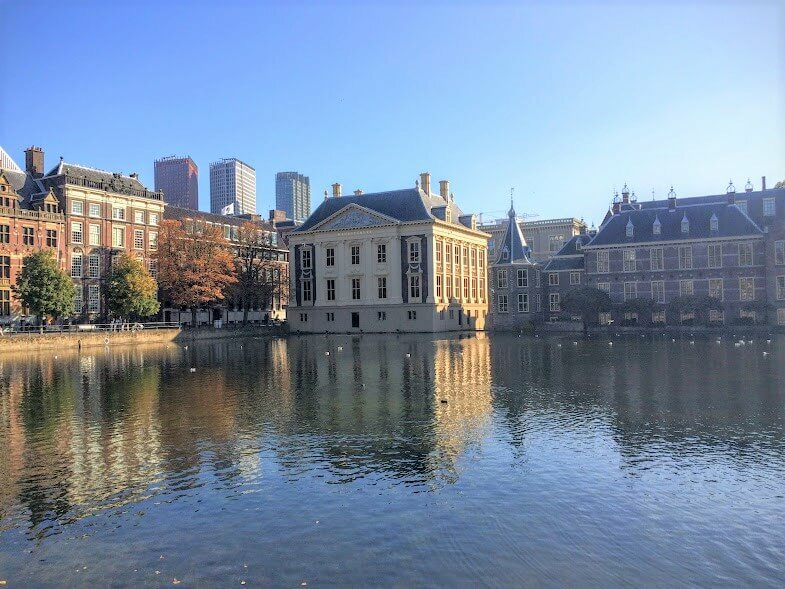 It’s also a great place for art enthusiasts, because its Mauritshuis Museum is where Vermeer’s ‘Girl with a Pearl Earring’ and many famous Rembrandt’s paintings are. *Would you like to learn more about Den Haag while there? 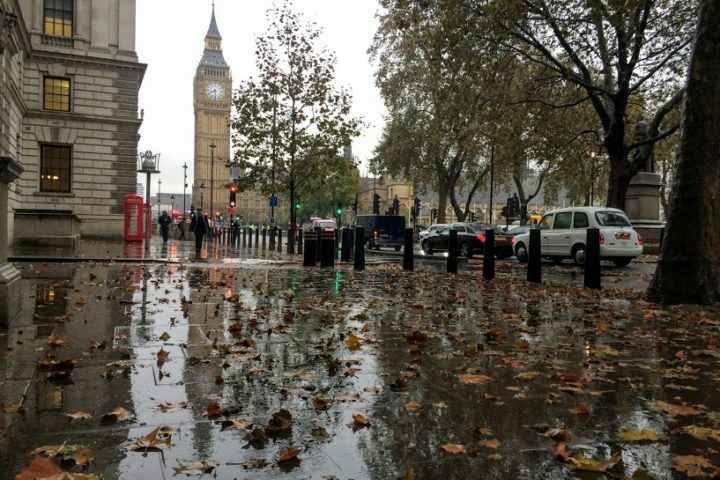 You can take a private tour with a local guide or explore it with a city discovery game. Often referred to as the New York of the Netherlands, Rotterdam was almost completely destroyed during the Second World War and rebuilt afterwards. That’s why today it is a city with some of the coolest modern buildings in the Netherlands. It has a very relaxed vibe, as well. Erasmus Bridge in Rotterdam is one of the most beautiful bridges I’ve ever seen. It’s close to Rotterdam’s port, which is also the largest port in Europe. And I would definitely recommend taking a boat cruise around it. It’s also a home to one of the coolest house complexes – the Cube Houses. And its Market Hall is where you can find food from all around the world located in an amazing modern edifice. 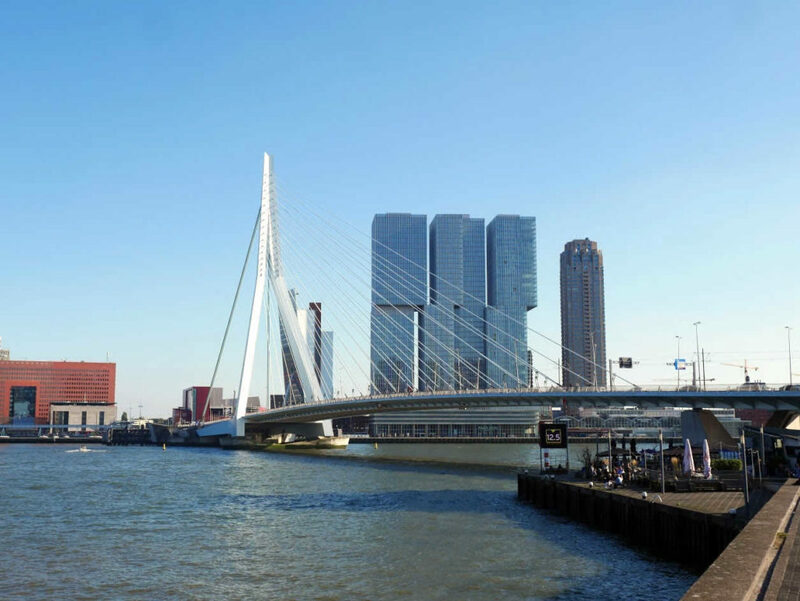 *For more info: Here is a blog post about Rotterdam and it’s architecture. 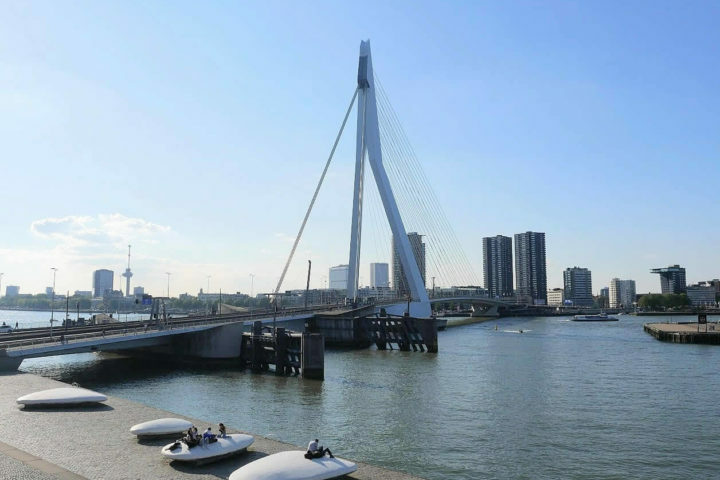 *While in Rotterdam you can take a guided tour or explore it with a city discovery game. 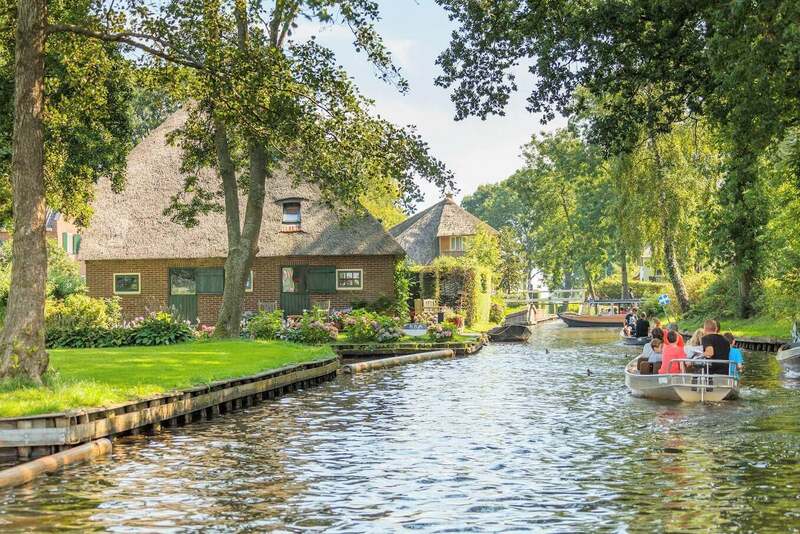 “One of the cutest places in the Netherlands is a small town called Giethoorn, where a large part of the town doesn’t have roads – just canals and footpaths. Take a boat tour and head out to a lake where it’s peaceful and beautiful. I would recommend going and staying overnight to get a full experience without the day-trippers. Then you’ll have the paths to yourselves (along with the locals) after 5 pm and before 10 am. *For more info: Read Jessica’s blog post about Giethoorn. *There are organised bus tours departing daily on a day trip to Giethoorn. If you would like to join one of them, take a look at the link here! Another cute town that makes a great day trip from Amsterdam is Gouda. It’s name probably sounds familiar because of a famous cheese that was named after it. Traditional cheese market is organised there every Thursday morning during the summer months. However, its beautiful city hall is also a remarkable building that’s definitely worth visiting. Maastricht is one of my favourite cities in the Netherlands. It’s also a Dutch city which looks the least Dutch. It is located at the border with Germany and Belgium and it’s architecture, culture and cuisine are very much influenced by its neighbours. It has a beautiful Medieval architecture, many interesting old churches and even old city walls. I recommend visiting it during December, because that’s when it’s becoming a home to one of the best Christmas markets in the Netherlands. 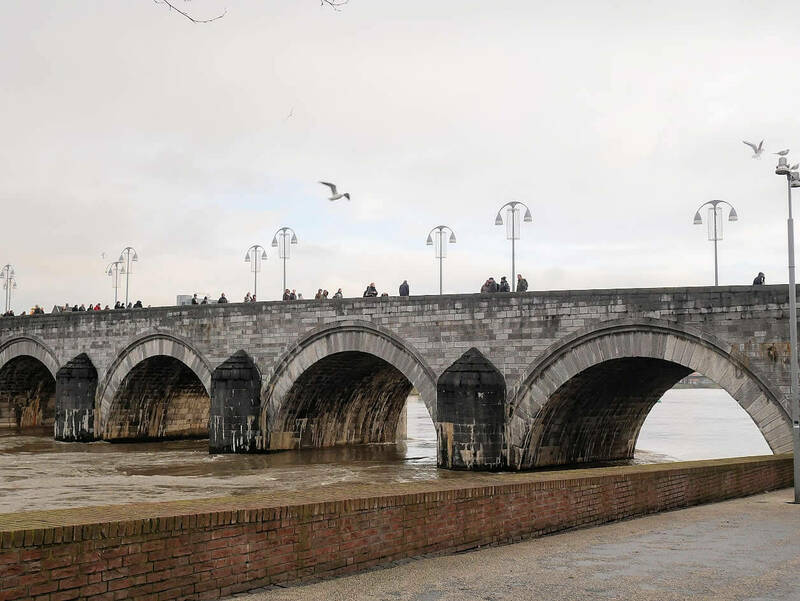 There are so many interesting things to be seen there, you can easily spend the whole weekend in Maastricht. 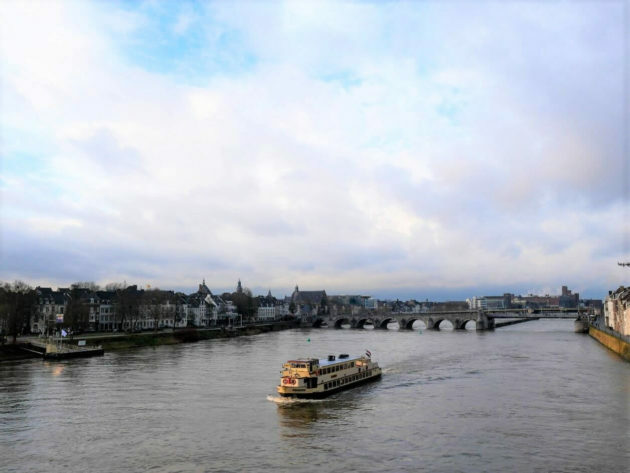 *For more info: Here is a blog post with 10 things you shouldn’t miss in Maastricht! There are so many interesting towns that shouldn’t be missed while in the Netherlands. Have you visited any of them? Which one is your favourite? Share with us in comments bellow!